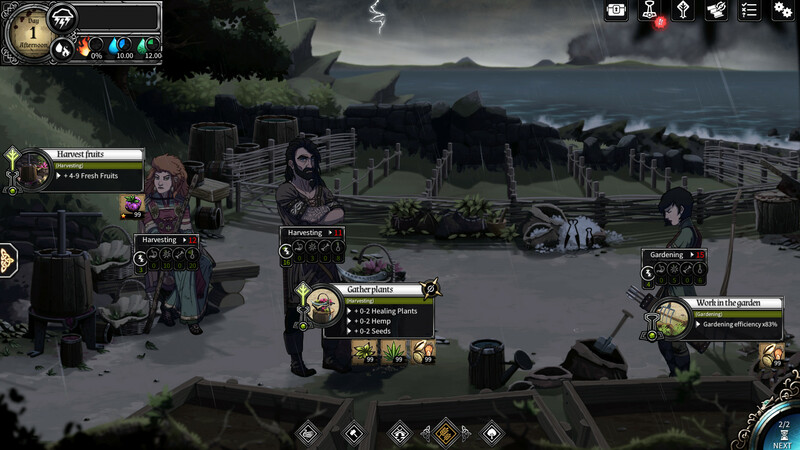 Dead in Vinland — adventure RPG game with elements of survival and management, which is a direct continuation of Dead In Bermuda. Once driven to a distant unknown land, Eric and his family must find a way to survive. Manage the physical and mental health of heroes, explore the island, equip your camp and communicate with other people. Some of them, if you will, will come to your rescue, and some will be less compliant. 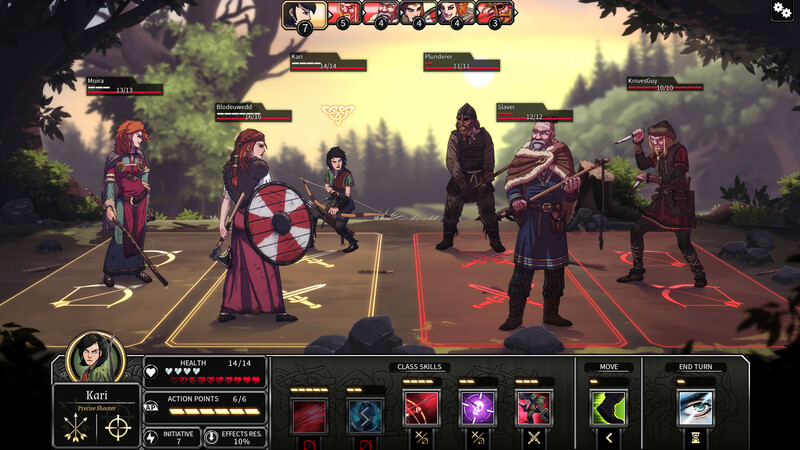 Uncover the esoteric secrets of Winland. They can save your life or lead to death. This game has been updated 24-01-2019, 15:19 to the latest version v1.3 (Battle Of The Heodenings). Added a link to the game. Corrected achievement Headcleaver which was not triggering. 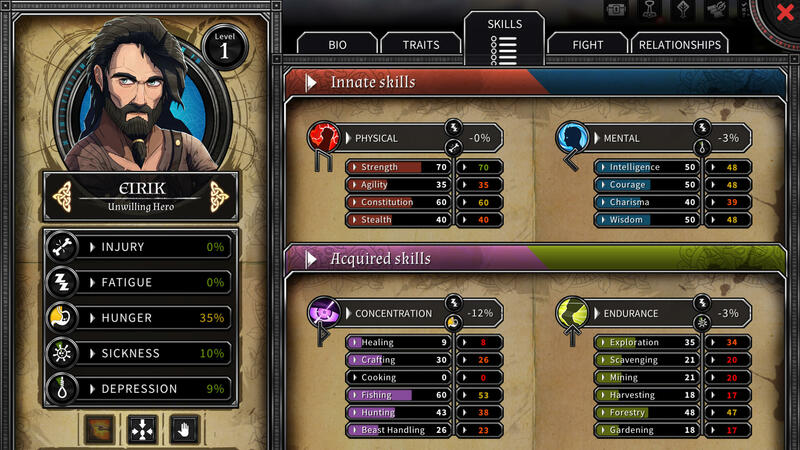 Added a trait that was missing. Corrected some words and lines that were not translated in FR and DE. Removed the event happening on day 120 which would end the game. Now the game is endless. Added a bunch of tributes until day 200. After that, no more tributes for now. Enhanced the tooltip for whetstones and armors, to show how much days the effects will last. Corrected some tributes where you could get stuck in the dialog, not able to pay the tribute. Corrected a bug that would enable a character to talk about Yaghoub, even after his death. Thanks for the upload! Will this be updated for the recent game breaking hotfixes in patch 1.03 and 1.04? Likewise thanks, awaiting the next patches! The last patch it´s not compatible with the others, it´s from the gog´s version.